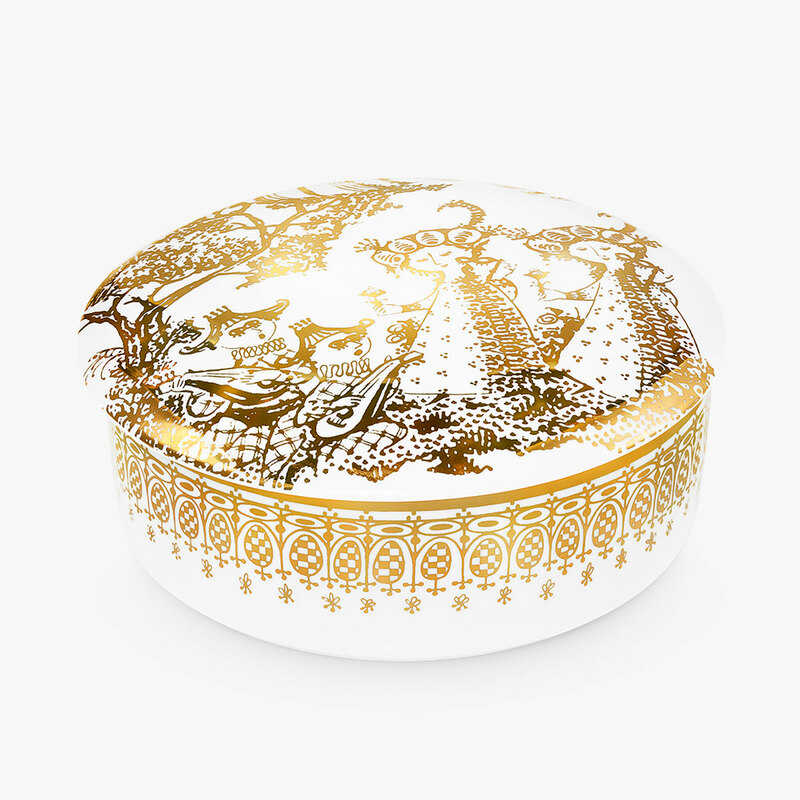 The Mascarade lidded jar in the gold version shown here with the hand-applied motif adds a little of the mystical Orient and Aladdin's cave to your home. Use it for knick-knacks, treats, jewellery, makeup... Over the years, Bj¿rn Wiinblad has taken design lovers all over the world by storm, and has become synonymous with an extravagant creativity that adds a personal touch to your home. A great gift idea that will please its recipient.